Data Recovery Software for Windows hard disk drive recovers all lost deleted missing files and folders from FAT and NTFS file system partitioned disk drive. Windows data recovery software is capable to restore files when deleted using Shift+Del keys or when emptied Recycle Bin folder. Software tackles all your data loss problems that include lost or deleted partition, software virus, accidental or malicious disk formats, corrupted installation, operating system booting error, corrupted master boot record MBR/DBR and other similar data loss reasons. 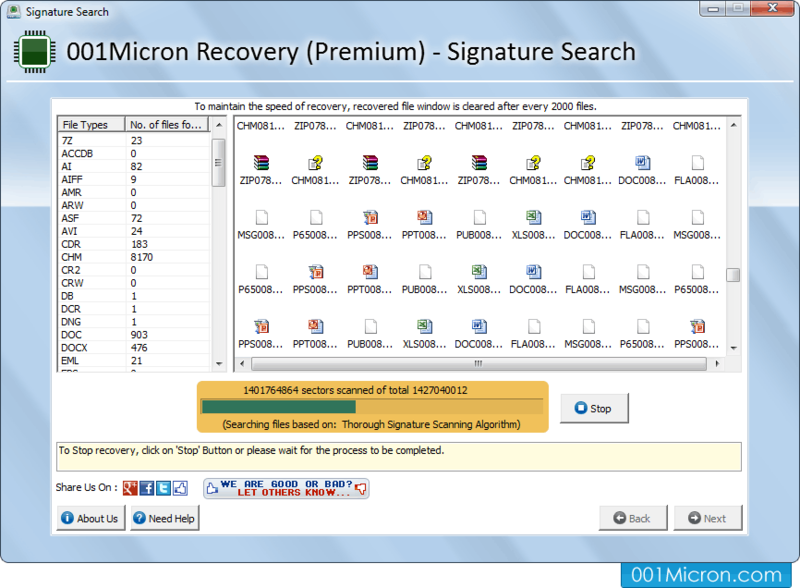 With the help of recovery software, user can undelete and retrieve files when lost on major Windows operating system. Download free demo of software to fully understand and evaluate software features and functioning in advance before deciding to purchase. Recovers lost, deleted, missing data (including text, graphic, photographs, audio-video, documents and other multimedia files and folders) from the FAT and NTFS hard disk partitions. Restores files when deleted using Shift+Del keys or emptied Recycle Bin folder. Supports data recovery when lost due to partition error, installation error, booting issues, formats and other similar data loss reasons. Multi storage support to SATA, ATA, SCSI etc removable hard disk interfaces.